Joanne specializes in coaching parents, families, & individuals. 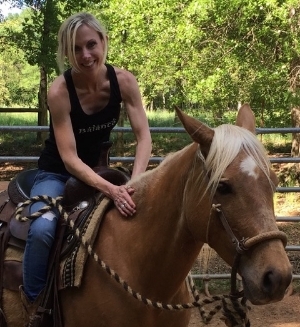 Her passion lies in helping others gain a better understanding of the relationships in their lives (including the one with the Self); and she absolutely loves how horses can assist in the process. Once people are more aware of the dynamics of the relationship(s), then shifts can begin to occur. Joanne is a certified life coach and equus coach with over 15 years combined experience as a certified school psychologist, working with children, parents, families, & educators in a variety of environments. She holds a BS in Psychology from the University of Georgia, a Masters Degree (+30) from Western Carolina University, and an Education Specialist Degree in School Psychology from Georgia State University. Additional credentials include Suzy Miller’s Awesomism Practitioner Level One & Lissa Rankin’s Whole Health Medicine Institute-Visionary Health Care Provider.